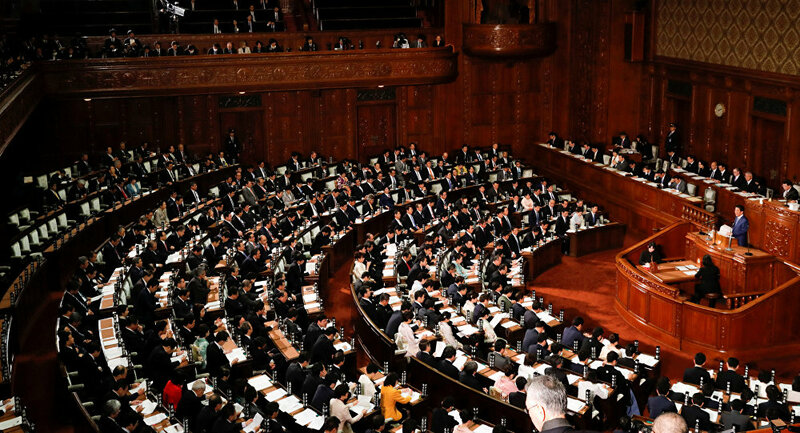 Japanese members of parliament are planning to conduct evacuation drills during one of their sessions, in light of the test missile launches conducted by the DPRK, reports Japan’s NHK TV. According to the media outlet, all 465 lawmakers are to leave the building after they hear the J-alert system go off. The system was designed to warn citizens about the possible landing of a Korean rocket which could lead to the destruction of buildings and trauma from glass shards. Japanese lawmakers have conducted earthquake drills in the past by putting protective helmets on, but have never evacuated the premises. The missile launch evacuation drills have already been conducted multiple times on the streets of Tokyo and other cities. North Korea has actively been testing its new ballistic missiles recently, with many of them flying over Japan. Missiles are a part of its much condemned nuclear program which has been developed under the pretext of defense against possible US aggression. On January 16 the Japanese broadcaster NHK sent out a false alarm about a missile launch performed by Pyongyang and called on citizens to hide in shelters.